You bought beer at a professional game or even a concert these days? Alcohol prices are highway robbery. Last year I walked into a game with a bourbon and coke in a solo cup in my hand and no one questioned me. Well yeah, you can walk into a non-student gate at any college venue I've ever been to with a pint in your pocket and no one searches anyone. As long as you're not a woman with a purse, you can take anything you want into a game. It's almost somewhat concerning how easy it would be for someone to take a gun into a college sporting event. You basically end up paying 40 bucks to take an extra 2-3 trips to the bathroom. If it isn't box wine, this is a marketing failure. Yeah, I honestly have more or less quit buying drinks at games. When one beer costs as much as or more than a 6 pack, that's just absurd to me. And, yeah like you said, you end up having to take multiple trips to the bathroom. I'll usually just bring a half pint of bourbon in to football games and sip on that throughout the game. Eh, I would imagine the majority of alcohol sales would be from non-students, and students are those who are trying to blackout before and during games moreso than the rest of the stadium. I know I couldn't afford to pay stadium prices for alcohol on my college budget. 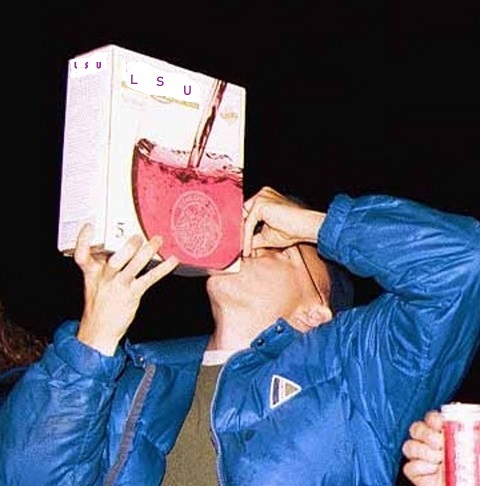 I just don't think selling alcohol at SEC games would have much of an effect on binge drinking. What I do think, however, is it's a great way to generate revenue, and if you're of legal drinking age, the SEC really doesn't need to be having a policy that restricts alcohol sales unless they have some quantifiable numbers that show some sort of negative correlation with alcohol induced incidents occurring at a higher rate at events that do sell alcohol. But if you want the truth, I think it's nothing more than an extension of some of the blue laws that still exist in states in the southeast. Tennessee, for instance, just the last year started allowing non-beer items to be sold on Sundays.